Past Lives Project are working in 8 regions across the Midlands, as we complete each area DVDs will be available for sale of the films we have made with recorded soundtracks. In each region we asked local residents to donate their cine films of everyday life in their home towns. Funding from Arts Council England & Heritage Lottery Fund enabled us to digitise and edit these home movies; film editor and artist Anthony Hatton worked with these films to create a new films of each region with live music score by Dave Sturt, Theo Travis, Chris Ellis and young musicians from the local area. All footage in this film was donated by local residents and digitised through Past Lives Project, film features soundtrack composed by international musicians working with young musicians in each region. All film donators are given a free dvd of the new film. Past Lives Project is a not-for-profit project, the dvd price helps support digitisation costs and the project, enabling FreeFall Arts to work with communities across the Midlands. Past Lives Bolsover DVD is available for sale via Paypal / Debit / Credit Card payment at £12 to cover printing and production with FREE post and packaging in the UK, click the Paypal button below you can add quantities while ordering, you do not need a Paypal account to order a credit or debit card will also work with the same link. 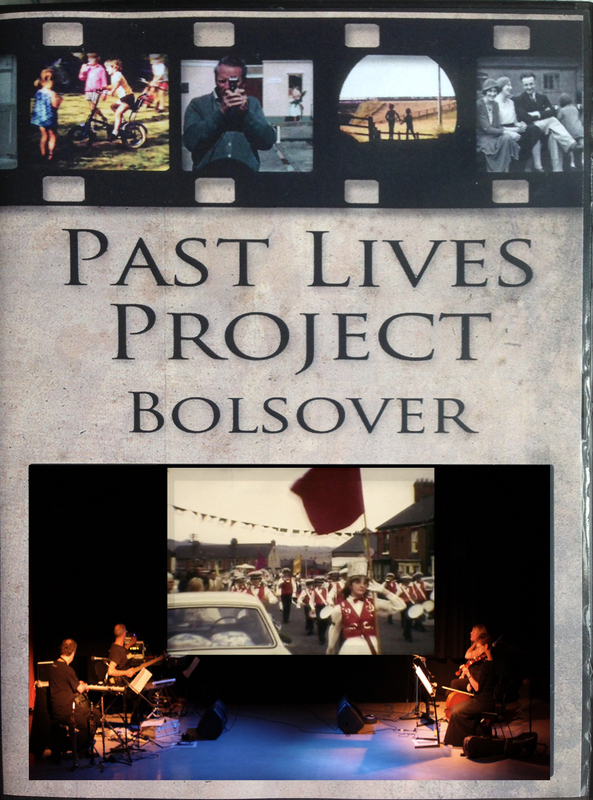 Past Lives Bolsover film features amazing footage shared with the project by the local Bolsover and Carr Vale community. Footage includes M1 Markham Vale shortly after being built 1970s, rare empty roads! Also included is footage from Silver Jubilee celebration train journey from Bolsover to Chesterfield, a train line which no longer runs. The film shows great views from around the town via carnivals, fairs and fun runs, and social history footage from local weddings and christenings, and the colliery closing. Music for the film involved Past Lives Musicians working with Bolsover Secondary School students to compose a live soundtrack for the film which also includes sections from local musicians and the Colliery Band to record Creswell Crags March and the Miners Hymn on Tenor Horn. Past Lives Nottingham features amazing footage from the 1930s to 1970s including the Goose Fair, Wollaton Park, and BBC Radio in 1970s. Also featured is the St Ann’s funeral procession; St Ann’s area of Nottingham was being demolished to make way for new developments, the footage in the film shows a community saying goodbye their streets, pubs and neighbourhood. The footage in Past Lives Nottingham shows a rapidly changing city with footage from street scenes, fairs, carnivals to weddings and everyday life. 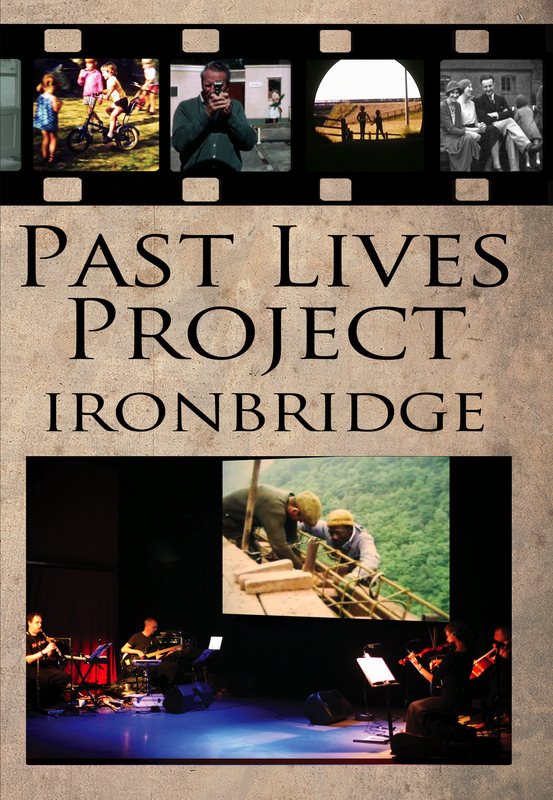 Past Lives Ironbridge film features amazing footage of the Ironbridge power station being built in the 1960s, showing the labourers hard at work building it by hand, and the breathtaking vista from the top of the towers giving a birds eye view of the region. Carnivals and fairs also feature in the film, with footage from the 1960s & 70s of Jacksfield Summer Fair, Wellington and Broseley Carnivals, Scout parades and Armistice Day Parades in Madeley with footage of local WWI & WWII heroes in procession . Another local hero featured in Past Lives Ironbridge is Eustace Rogers, the last of a long line of Ironbridge Coracle makers. Past Lives Mansfield film features lovely footage from the 1950s onwards of Mansfield town centre, the Miners marches, Clipstone Colliery outings, Whitsun walks in Kirkby in Ashfield and much more. Edited by Anthony Hatton and featuring a music score composed and played by students of Nottingham Performing Arts along with musicians Chris Ellis, Dave Sturt, Theo Travis, Deirdre Bencsik and Clare Bhabra.